Like a boat spreading its sails, a new start, a journey where the members of the crew face each other at the rhythm of the drums played by an ‘exceptional master’. From the deck to the crow’s nest, each one of the members has to nd his place, hanging on the ladder of time, they share short time moments, where complicity and fragility mingle. Naufragata is a stroll between the impossibility to arrive and the necessity to leave again, to feel alive. 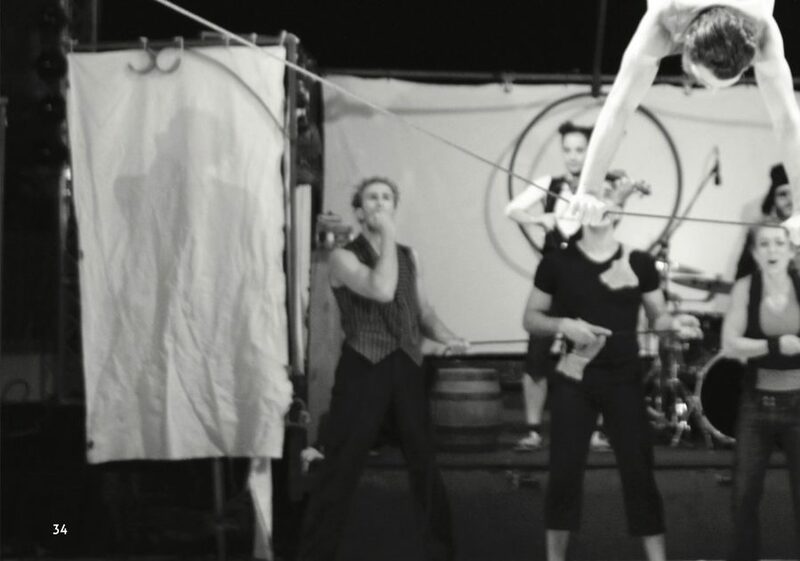 A circus adventure cradled by live musical notes that bring us back to the ship like the siren song, rich with unbelievable ambiguities and original madness. Bħal ġifen li qed jiftaħ il-qlugħ, bidu ġdid, vjaġġ fejn il-membri tal-ekwipaġġ jinsabu wiċċ imb wiċċ għar-ritmu tat-tnabar magħmul minn “kaptan eċċezzjonali”. Mill-gverta sal-qo a tal-vedetta fuq l-arblu, il-membri kollha jridu jsibu posthom, imdendlin mas-sellum taż- żmien, jaqsmu bejniethom mumenti qosra, fejn il-kompliċità u l-fraġilità jitħalltu bejniethom. “Naufragata” hija mixja bejn l-impossibilità li wieħed jasal u n-neċessità li jerġa’ jitlaq, li wieħed iħossu ħaj. Avventura ambjentata f’ċirku, imżewqa b’mużika live li terġa’ ġġibna lura lejn il-vapur bħall-kant tas-sirena, mimlija ambigwitajiet inkredibbli u ġenn oriġinali.